It's been a little while since I last showed you guys what I've been working on. I have a few new products in development stages right now, so those will have to wait a little longer. One thing I can show you though, is the new packaging! It might sound a little silly, but I put a lot of time and effort into this. I love every single item I make, so I want to packaging to reflect that as well. I feel like I will tweak this a bit still, but I'm quite happy with the outcome. 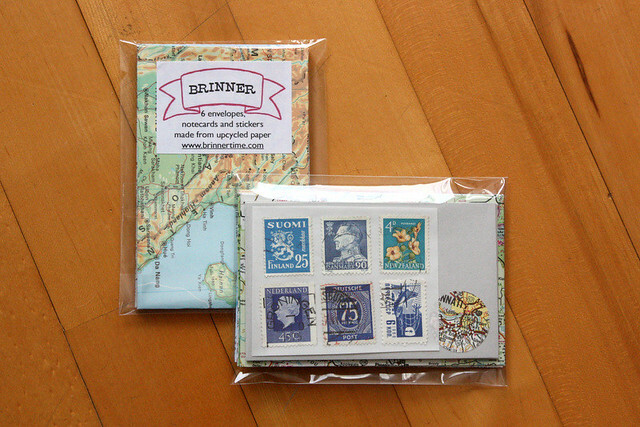 These are the upcycled stationery sets with 6 envelopes, flat cards and stickers. They are all made from vintage maps, used postage stamps and other rescued paper. I have plenty more to pack and like I said, some new prototypes to test out. Do you pay attention to the packaging of the products you buy? Does it affect your purchase decision? Amazing idea! !Finland stamps :D Yes, i live in Finland so i see that soon.It´s finnish account. It always catches my eye too! I try to use them in as many places I possibly can. I think Finland's always been good with stamps. And they just keep getting better! And the packaging is quite important for me as well - I especially like to be able to see what I'm buying. The packaging is very important, specially when you buy something to be offered as a present. 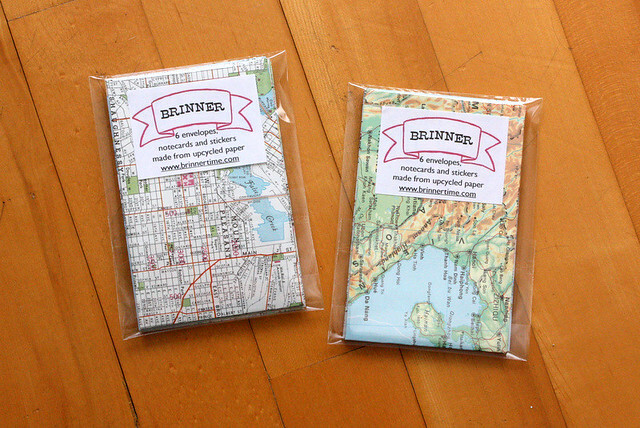 Your idea of making stationery with old maps is really inspiring! Thank you! It was really this stationery that made me really look into running my shop more seriously. And after all this time, I still love making them! I always try to think my packaging like it is a gift. Even if you buy it for yourself, I want you to feel like you're unwrapping a present. Omg you do lovely things!! Thanks for the comment Linda!! It's very nice to share these cute things with other people in the world :) Are u looking for more penpals? Just let me know when you want a Mexican penpal okay? hanks for coming by Andy! At this point I feel like it won't be fair to take on more penpals. I have just about enough time to write to the ones I have committed to right now. But I promise absolutely to keep you in mind if more time frees up!